The next time your mom forces a few badaams into your hand as you leave the house in a rush, don’t crib, eat them! They are known to help your body prevent cancer! Body organs – Almonds help in the creation of new blood cells, hemoglobin and help in proper functioning of vital organs of the body. Cancer and Tumor – Studies carried out by the World Cancer Research Fund have revealed that almonds have several substances which could be useful in the prevention of cancer. Almonds are also found to be strong suppressors of lung and prostate tumor growth in the studies at Pennsylvania State University. 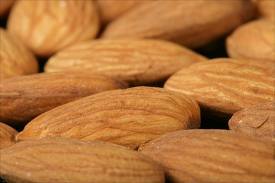 Breast cancer – Flavonoids found in almonds also suppress breast cancer cell growth when these cells have been exposed to cancer-causing agents. Other health benefits – Almonds also help in weight loss, lowering blood pressure, reduction in risk of recurrent coronary heart disease, solving constipation, preventing loss of sexual vigor, etc. Not just oral benefits – Few leaves of the wild almond powdered with water applied to affected parts helps cure many skin diseases, especially eczema. Almond paste with milk cream and fresh paste of rose bud applied regularly over the face is known to make the skin soft and fair while almond oil applied on the scalp helps to cure several hair problems. Don’t you simply love them in your kheers and in your chikkis? Well you might as well pop one or two raw. They help keep you energetic and maintain your body weight! 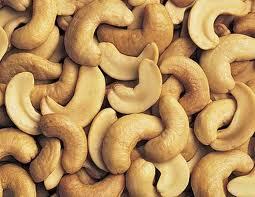 Protein – Cashew nuts provide protein and fiber to body. Cancer – Cashews are rich in antioxidants that help in the elimination of free radicals which are one of the causes of cancer. Energy food – Cashews have high copper content and is vital in energy production, greater flexibility in blood vessels, bones and joints. It is an energizing food. Menopause – Cashews contain magnesium, which helps the body cope with stress, helping promote normal sleep patterns in menopausal women.